Hey lovelies! 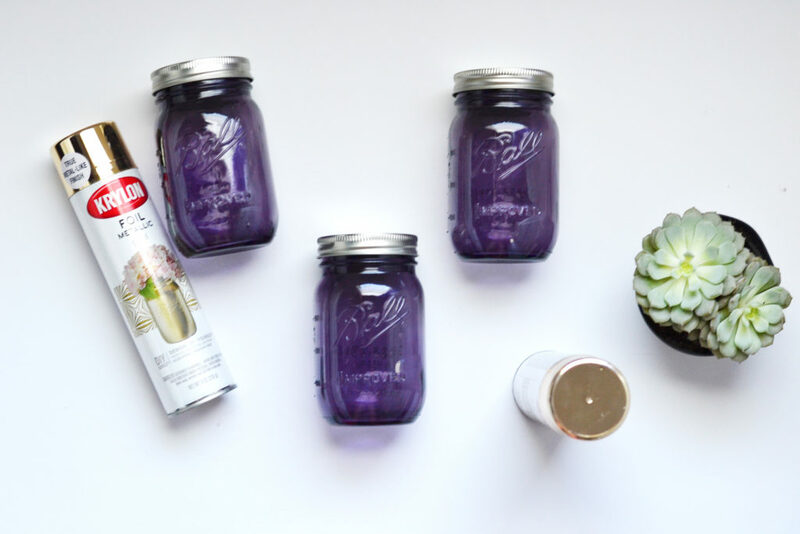 I teamed up with the new Orchard Supply Hardware location in Orlando to bring you some really easy, cute DIY projects this month. 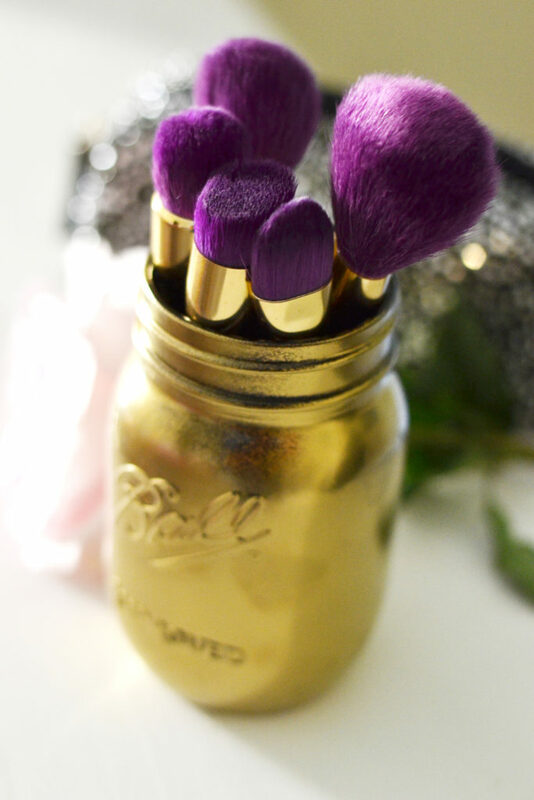 The first project is a DIY mason jar makeup brush holder, which every beauty addict can use to spice up their vanity! – Newspaper, yellow pages, paper towel, etc. 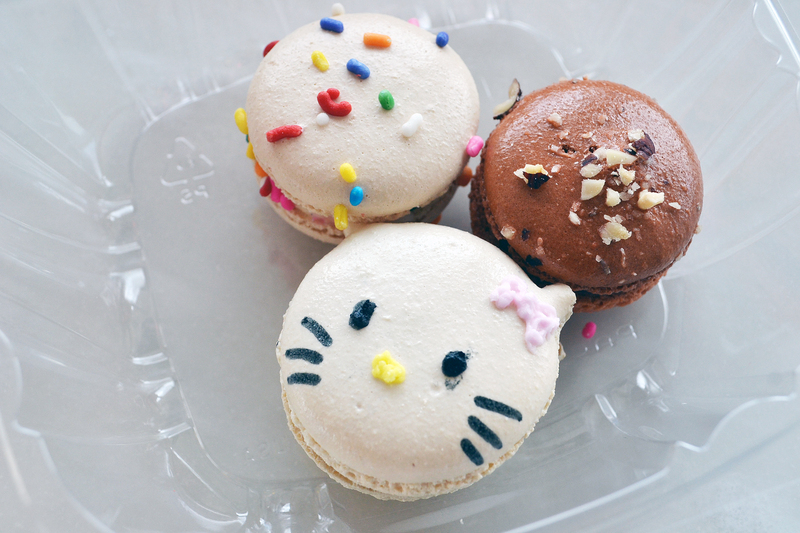 This is honestly one of the easiest DIYs in the history of doing anything yourself. I am not a DIY Queen in any way, shape, or form, but I would say making these is almost therapeutic. Once you have everything you need, make sure you choose a workspace that is well-ventilated; open some doors/windows if you have to, because you’ll definitely need it. Make sure you spread newspaper/yellow pages/paper towel on your workspace as well. 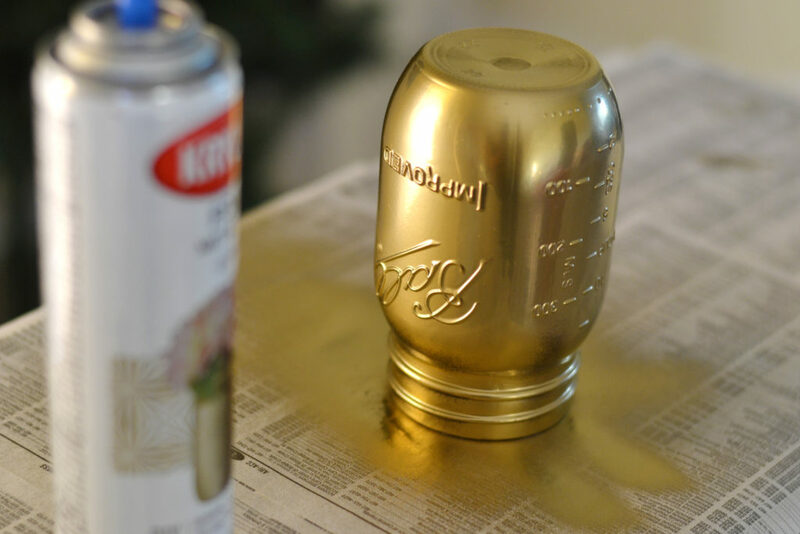 Flip the mason jars over and spray your first coat as evenly as possible. I did a test spray on the yellow pages first to gauge how far away I needed to be from the jar for it to work. Wait 15-20 seconds and spray your second coat. 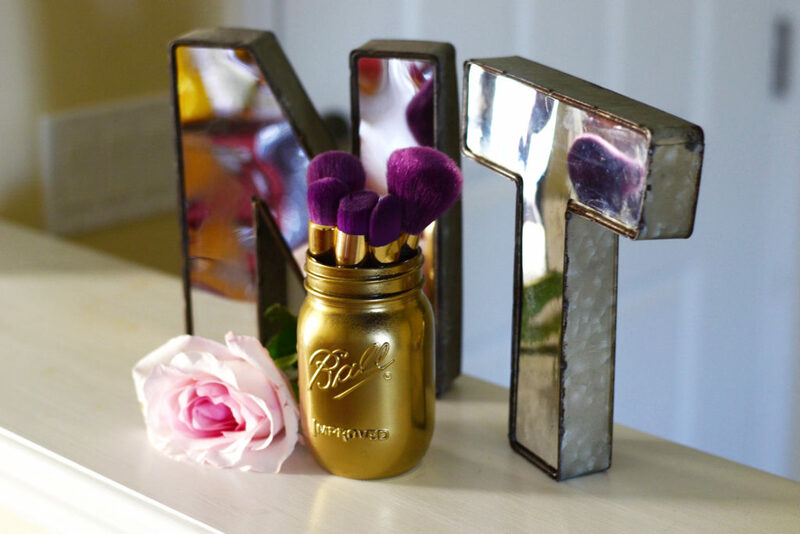 You can even get fancy with it and give the jar an ombre effect, and smudge it out with a makeup sponge. 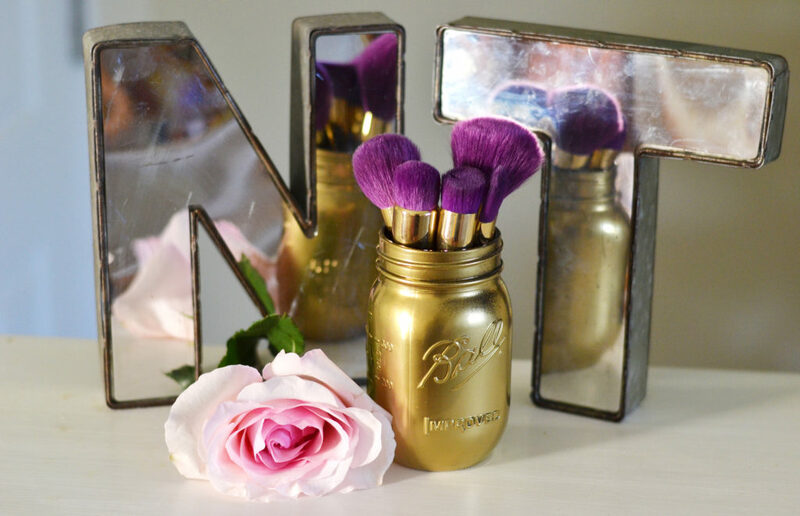 But I didn’t want to mess up the pictures for this post… so I ended up making two gold makeup brush holders. Let the jars dry for 15-20 minutes (once again in a well-ventilated area), and voila! You’re done! You can add more embellishments to it, or you can leave it as is for a more minimalistic look. 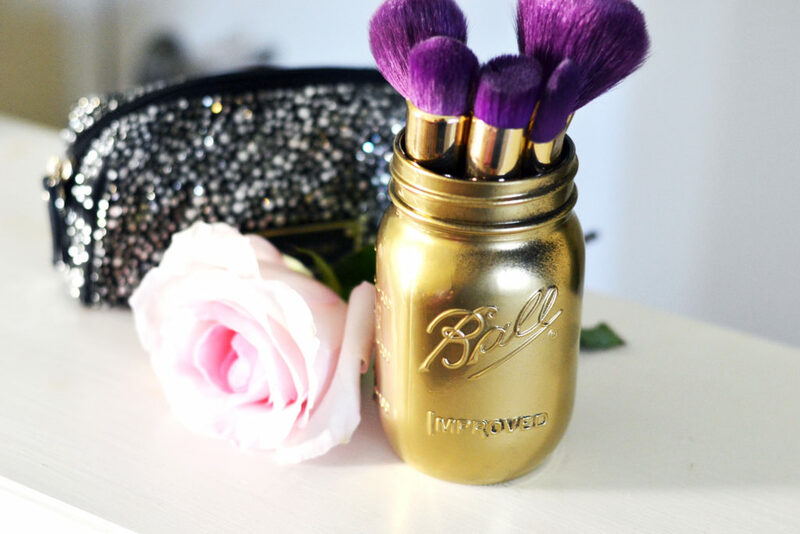 The makeup brush holders go perfectly with the Sonia Kashuk gold tipped brushes I got from Target a year or two ago. 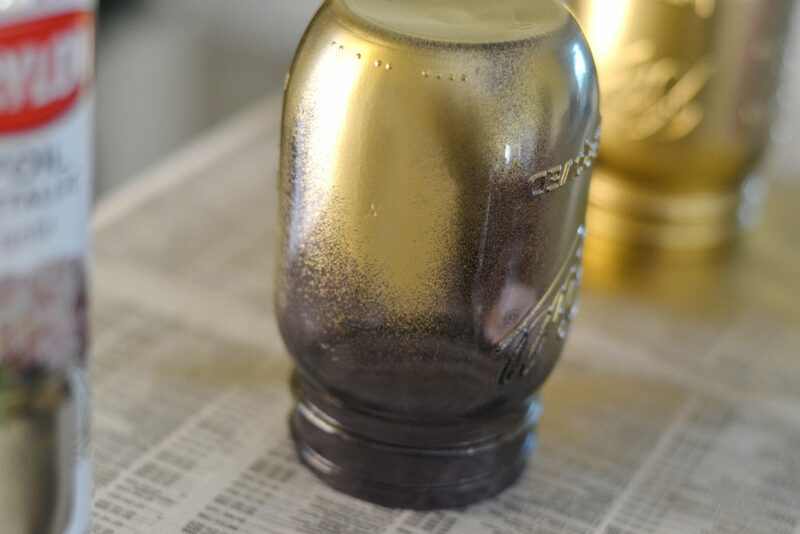 You can also use these decorated jars for smaller floral arrangements for an event, or as a pencil cup for your desk! Everything I used is available at Orchard Supply Hardware, which I highly recommend going to – it’s a cool store that isn’t intimidating for us non-DIY Queens, and the staff are awesome! Disclaimer: The materials were purchased using an OSH gift card; the project idea and any opinion are completely my own.